Do you know where your food comes from? Are you searching for great-tasting food with a connection to your farmer? Do you like knowing your food choices are healing ones instead of supporting a system that exploits the animals, the land, and the people who get the food to you? We believe you are what you eat. Eating truly healthy food raised well benefits us all. Marble Creek Farmstead is a dynamic, sustainable, family farm producing humanely-raised all-natural pastured meats and eggs. 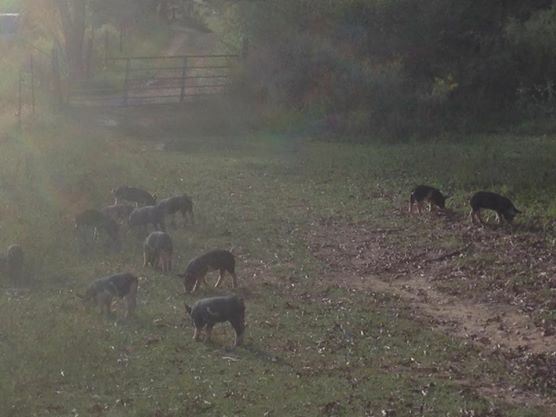 We live on a 40-acre farm with mostly open pasture and plenty of woods. 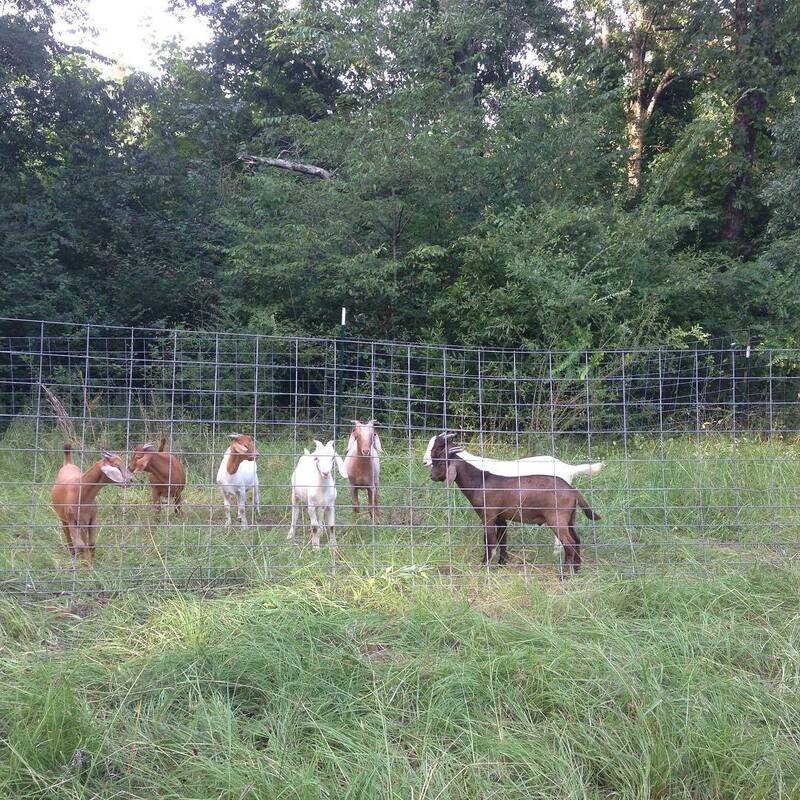 We also lease or use other pasture land near us depending on our needs. We focus on building the soil in our pastures. We use regenerative techniques that will increase the microbial life and organic matter of the soil, which sequesters atmospheric carbon, makes our land more resilient in the face of flooding and drought, and – perhaps most importantly – makes for more nutrient-dense, productive grass/ forage for our animals to graze upon. We practice management intensive rotational grazing, moving our animals throughout the pastures at a fairly quick pace (for example, hogs get a new paddock about once every week or two, while our younger birds like broiler chickens get moved to a new patch of grass daily). This keeps manures on the pasture to avoid nitrogen pollution caused by farms with more intense stocking densities (like confinement barns or dirt lots) in a small, set location. Our mob grazing system mimics nature and prevents erosion by allowing the pasture ample time to recover from each pass of the animals. The multi-speciation breaks the parasite cycle and makes the land more productive per acre. To protect the pasture during the colder months when the grass isn’t growing, we also rotate some of the animals (like pigs) through the woods. We raise broiler chickens for meat, several large flocks of egg-laying birds in mobile chicken tractors, a herd of pastured hogs, Kiko/Boer goats, ducks (both for eggs and meat), sheep, turkeys, and grass-fed cattle. Our menu of pastured meats available at market or our online store includes beef (currently from our partner farm Hurricane Branch Farm in Elmore County), chicken, pork, duck, lamb, and goat. We keep a fairly large vegetable/ melon/ flower garden (free from pesticides, herbicides, fungicides, etc. ), and we are starting our forest garden-style orchard system over the next few years. We also have a USDA-inspected meat processing facility on-farm to process our own livestock. We continually sell our pastured meats through pre-orders (at a discount) through our Farm Membership (delivered to your door or shipped). We also sell our meat and produce at Pepper Place Market every Saturday. Our online store has all of our products available for home/office delivery, shipping, on-farm pickup, or Birmingham area pick-up. Our adventure is just beginning. We are so glad to have you here! 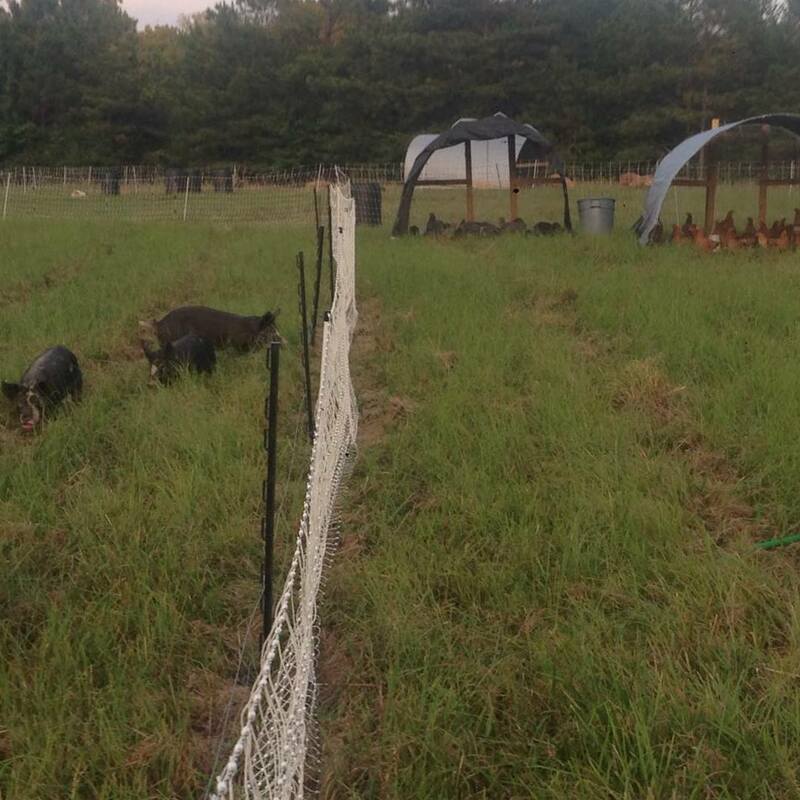 If you need to get in touch, you can email us at marblecreekfarmstead@gmail.com or call Matthew at 205-936-6120. We bought some of your bone-in pork chops at the homewood farmers market in Sept. They are the best chops I have ever made. We want to buy more. I would like to know how the CSA works and if I can choose what I would be getting. We are a family of 4 but certainly wouldn’t mind freezing some meats. Where will you be next and please tell me you all will have more of those chops.